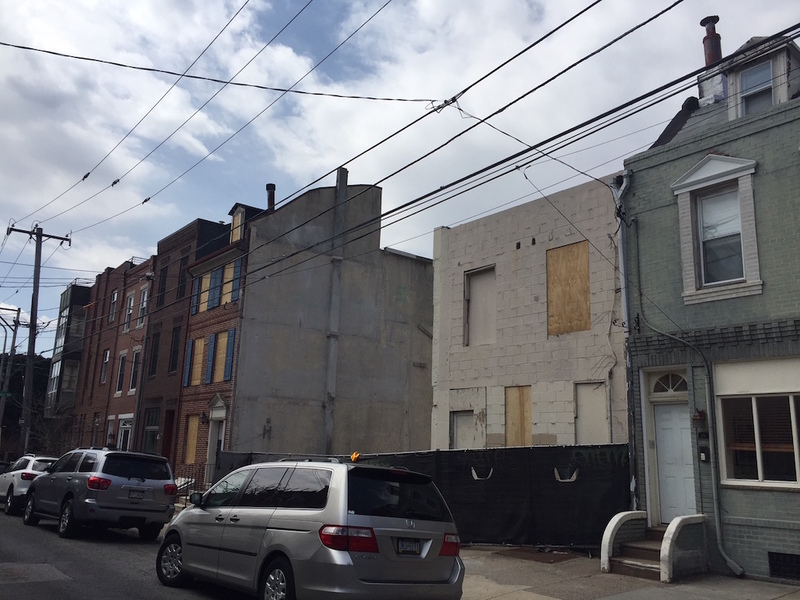 It feels to us like we’ve been fixated on the property at 718-24 S. 2nd St. for a long time, and this feeling has a fairly strong basis in reality- we’ve covered it at least five times over the years, starting way back in 2011. 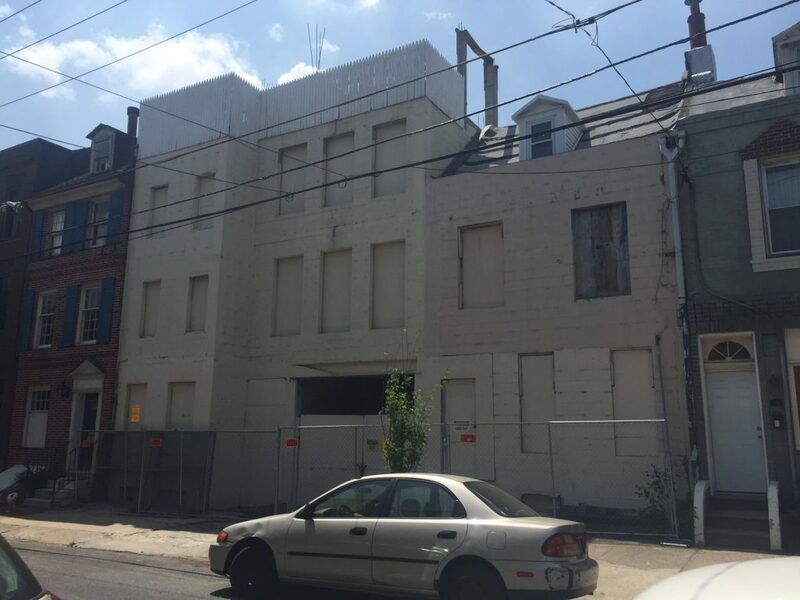 At that time, the property was sitting blighted and vacant, a stalled project from a developer out of Brooklyn. This caught our attention since Queen Village doesn’t typically suffer from this sort of situation, at least not for very long. Alas, nothing has been easy here. New developers bought the property in 2014, but their only progress was tearing down most of the buildings on the site in 2017. By the time 2018 rolled around, yet another new developer had come forward and was actively negotiating with the community on what they could reasonably expect people to support here. When we provided our last update, it wasn’t so clear what that would look like. We passed by the property the other day and not only noticed that a little more demolition had occurred, but we also spied some signs advertising the project that’s on the horizon. 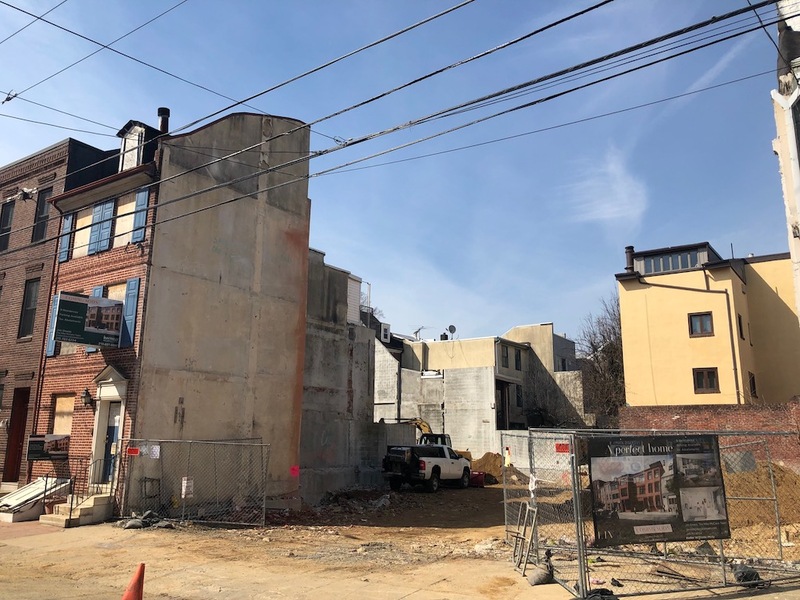 The current owners of the property, J. Roller Development, have gotten zoning for a 9-unit condo project which they’ve dubbed LIV Condominiums. Most of the units will offer 3 bedrooms and at least 2.5 bathrooms, but there will be a 2 bedroom and a 4 bedroom unit as well. The project will also include five parking spaces, as the garage in the below rendering would suggest. The rendering, by the way, comes from JKRP Architects. The signs posted on the property seem like a pretty good indication that construction will be getting started soon, as is the fact that the current owner is locally based and has a strong track record. It’s amazing to think that a project was first conceived for this location over a decade ago, and after multiple owners, varying plans, and a lawsuit or two, something is finally going to happen here. We have to think that the people that live around here don’t remember what life was like before construction began at this property and will be incredibly enthused once construction begins. Figure they’ll be even more excited when construction concludes. 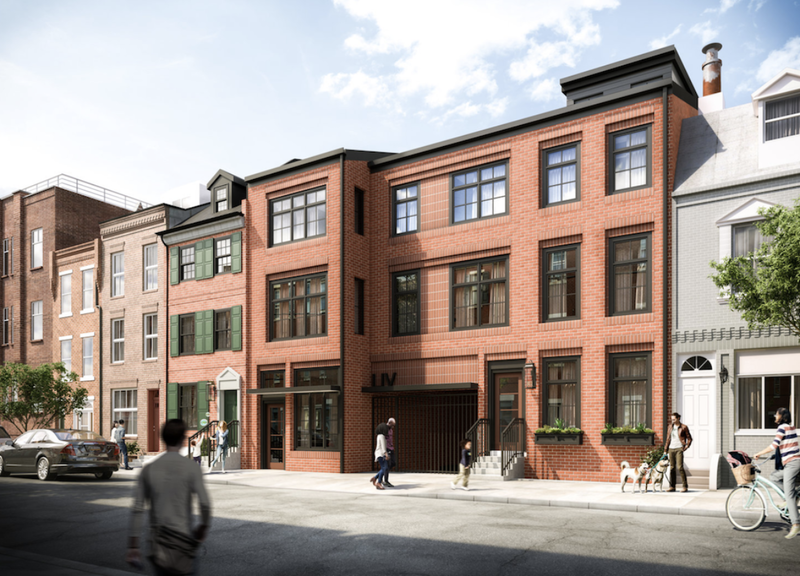 In case anyone didn’t catch the family ties in this project — yes, Jacob Roller of J.Roller Development (and formerly of MMPartners) is the son of Jerry Roller, founder of JKRP Architects. What a funny, twisted tale. The 718 S. 2nd St part of the property had been designated as historic in 1958, apparently on belief that it was built c. 1775. Turns out that whatever was previously at that address had collapsed in 1945, with a new structure replacing it in 1948 (since demolished by a previous would-be developer). i’d get one of these.